We loved the villa, especially its view and proximity to beaches. Very well equipped, but absence of wifi and internet access was a daily problem. We gave up trying. The biggest problem, however, was not the place, but the inadequate service from St. John rental. There was no detailed written or oral explanation of anything, so we could not work the TVs. We had to figure out ourselves that the washing machine hot/cold controls had been reversed. Everything about this home is amazing! We loved staying at this wonderful house for 6 nights in March 2016. Nemisy at St. John's Properties was outstanding, providing specific instructions and following through on her promised services. We were met at the ferry by the lovely Andretti from Aqua Blue Car Rental and then the equally lovely Nemisy accompanied us to the house to give us a tour. The house is well appointed with a great kitchen (with plenty of equipment), plenty of bathrooms (towels and soap and shampoo abound) and plenty of living space. We were also provided with beach chairs (backpack style), a cooler and plenty of bug spray!The SJP team left us with a few snacks which we really appreciated because by the time we arrived, we were all starving. They tied us over until we went into Coral Bay to shop at the Dolphin Market. Future renters should note that this house requires a car. We ate most meals here, only a few out. This provided us with a much more relaxed vacation and we didn't have to navigate the drive back at night after eating and drinking. The best part of staying here was proximity to St. Francis Bay Beach. It is beautiful, with great snorkeling nearby, soft sand and plenty of sunshine! A short walk down hill. Also nearby and within walking distance was Annaberg Plantation and a great walk/hike to Waterlemon Cay where snorkeling is amazing. We would definitely stay here again. We love this little piece of quiet paradise! What a wonderful place. Beautiful house in a quiet location within walking distance to Francis beach. We spent most of our time on the patio with the view overlooking the bay. Couldn't have asked for a better location and accommodation. Will definitely be looking to stay there again. First off the level of service Nemisy and stjohnsproperties provided was awesome. Nemisy handled everything from Jeep rental to everything else first rate! Property was amazing, great views and truly a 5 or so minutes walk from two awesome beaches.. The fact that I tried to buy the property and was told it did not available didn't change anything.. I highly recommend the property for all it has to offer, and only complaint is no pool or hot tub but really who needs that when you have a five minute walk.. Had one issue but BJ took care of that with a call while she was in new Mexico 2 hrs back on a Sunday morning at 830am.. Will book property again, you can't find a more private secluded like this!!!!! This was a great fit for our active family. We had one adult child and two younger ones -12 and 7. This villa provided us with the space and privacy we wanted. The deck had an amazing view and we could walk to Francis Bay every morning. The walk took only a few minutes if you take the more direct route and not the boardwalk trail. However, the trail provided shade and we once came upon two deer on the trail. They stopped and looked right at is. My children were thrilled. This place is closely located to some of the best snorkeling on the Island. Sadly, we found both Trunk Bay and Cinnamon Bay to appear almost dead compared to what we saw there 15 years ago. Frantic Bay and Leinster Bay had amazing snorkeling. Also, Waterlemon Cay and Salt Pond. Anyway., Nemisy from St John's Property was highly professional and a pleasure to work with. It was quiet at night and the stars were beautiful at night. It was just as you said it would be. the view was awesome and Nemisy was always helpful when I needed something. It was a great vacation I wish I was still there! We found the location of the home wonderful. We loved the remoteness and yet the proximity to some great beaches and snorkel spots. Nemisy was great, very responsive and helpful. Our main comments were with the upkeep of the home. Views were gorgeous, the deck was great. T The bedrooms are in separate buildings. For a family with smaller kids, this is something to think about. We truly loved the location and the views. Being able to take a 10 minute walk to Francis Bay was priceless. There were six in our party and individuals could head down to the beach when they were ready. St. John properties provided some nice back pack beach chairs and they worked great at the beach. 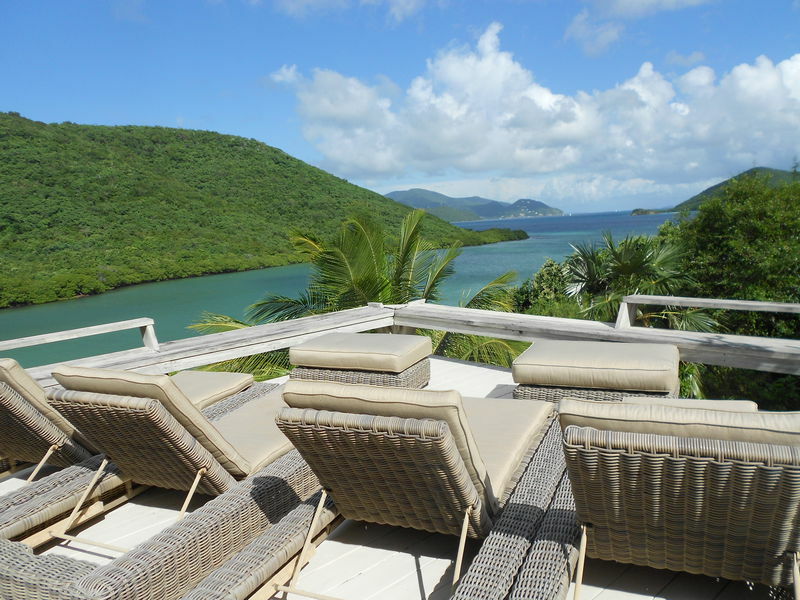 In addition to being able to walk to one of the nicest beaches on St. John, the views from this villa were outstanding. There was plenty of room for six People to lounge on the deck and enjoy the scenery. 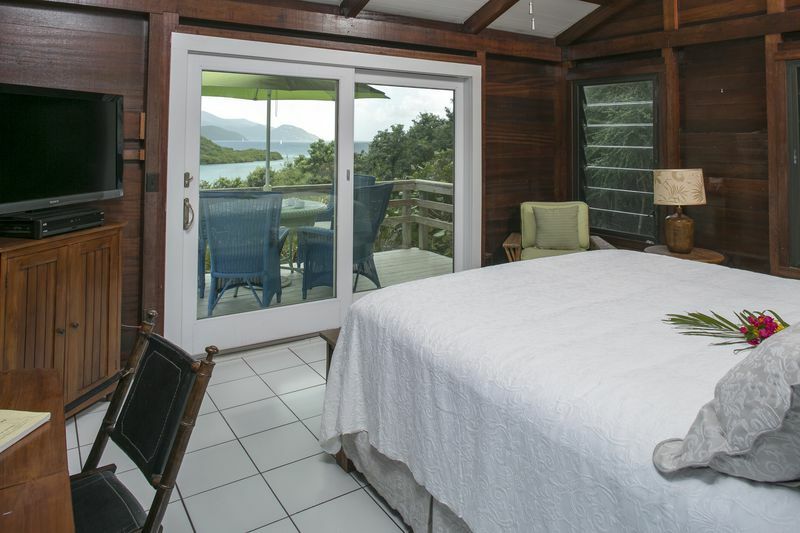 This villa is in a remote area, but a 20-25 minute drive gets you to Cruz Bay or Coral Bay. 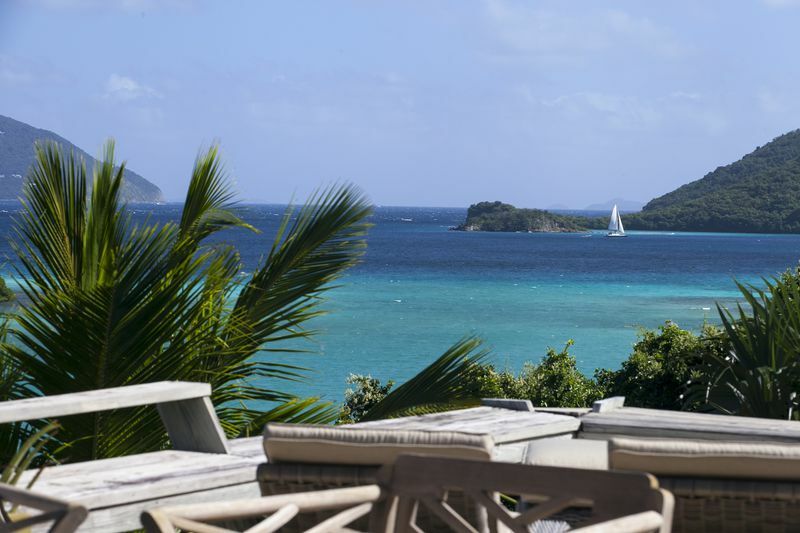 We highly recommend St. John Provisions for stocking your villa before you arrive. Merrdith is great to work with and will purchase just about everything you need. As far as the villa is concerned, it could use a little TLC. While we found this place very comfortable, we ran into a few issues. The sliding glass doors in the lower bedroom rarely worked properly and we often had to use the other door from the bathroom to exit our bedroom. We found the hot & cold water hoses on the washing machine reversed and had to adjust them. 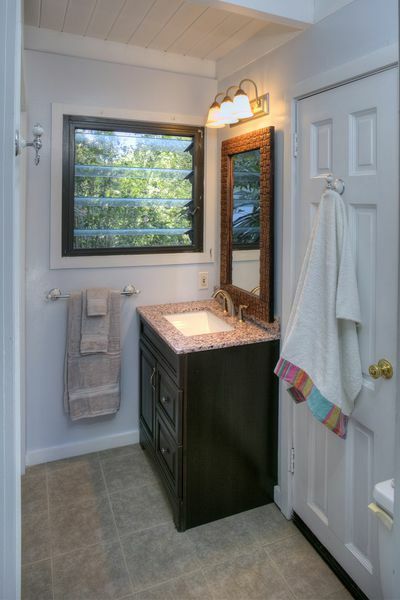 There could be better lighting in the area where the washer & dryer are located. Be advised that Verizon service comes from British cell towers and you will be charged international rates for cell service. The other problem encountered were the tiny no see ums that we're quite annoying. Some screen repairs are needed. All in all, we enjoyed our stay here and if you are looking for a quiet remote time away, this is the place. The service we received from St. John Properties was quite satisfactory. The Lidskjalf House was everything the pictures promise and more. 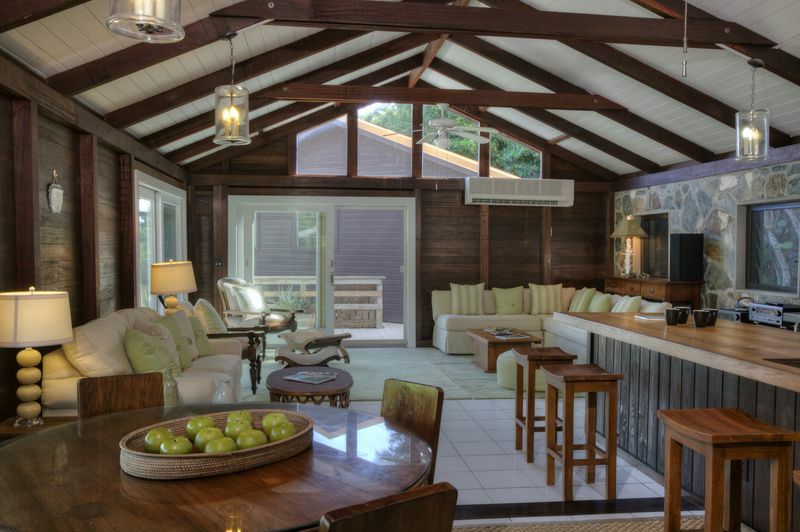 Completely private, comfortable and spacious; the property was the ideal place to cook, lounge, socialize and relax. Most days we didn't want to leave the property at all it was so beautiful there. St. Francis Bay is one of the Islands most magnificent beaches with awesome snorkeling (Sea Turtles, Rays & Tons of Fish)and it is just 5 minutes walk down from the house. We swam every morning before breakfast. BJ picked us up from the Ferry and was awesome with tips on places to visit around the Island. My wife and I brought our two kids here for vacation. Location was perfect. House was great. The on-line photos and reviews are accurate. We had a wonderful stay at Lidskjalf at Annaberg. The location of the villa is just perfect. It is a short walk to Francis beach and trail, and a nice longer stroll to Annaberg sugar plantation and Leinster trail. 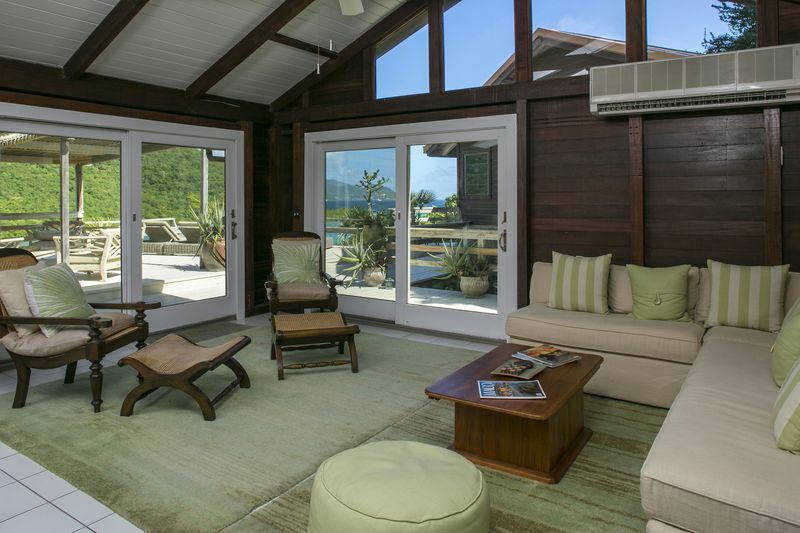 The villa is completely private with absolutely breathtaking views and constant cool, refreshing breeze. The outdoor area is perfect for lounging and enjoying the views. 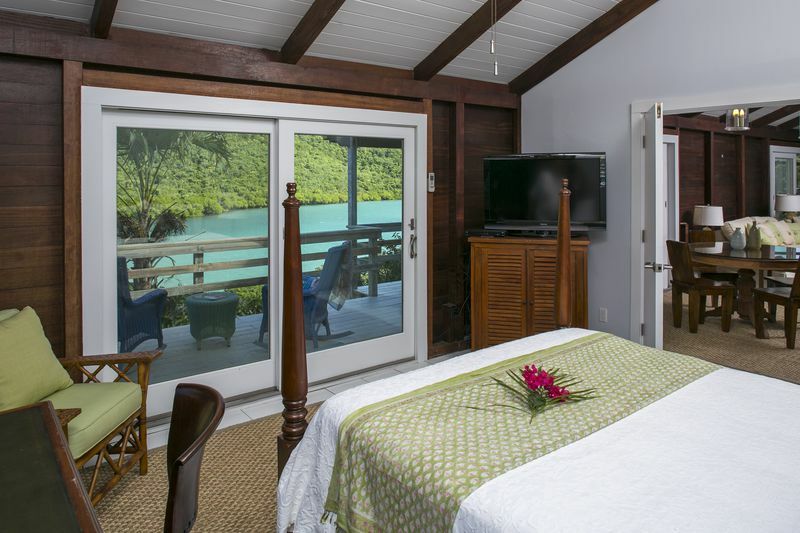 The layout of the villa makes each bedroom feel like a separate apartment. It is great for couples or families with grown children. Car is a must and the driveway is not for the faint of heart (part of the adventure as is driving on St John). Hope to be back real soon! This was our 4th time renting Lidskalf and won't be our last. In fact we already rented it again for 2020. 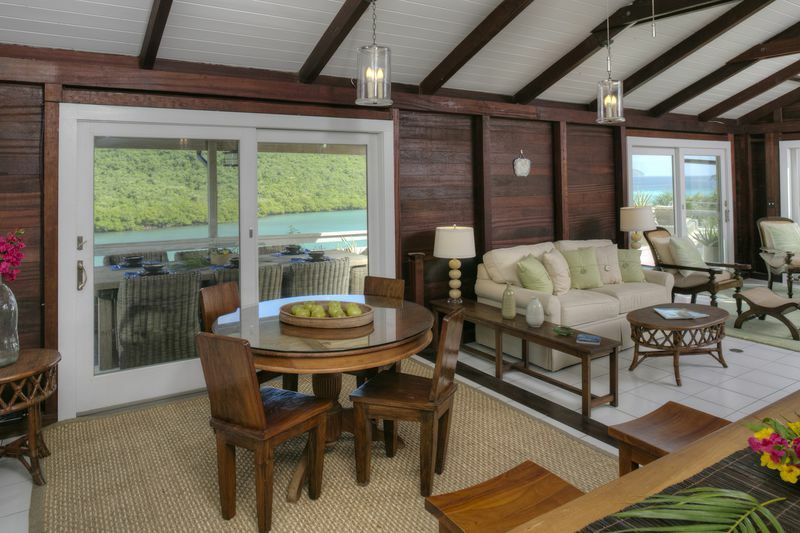 The location is perfect with regard to access to the best beaches on St John. 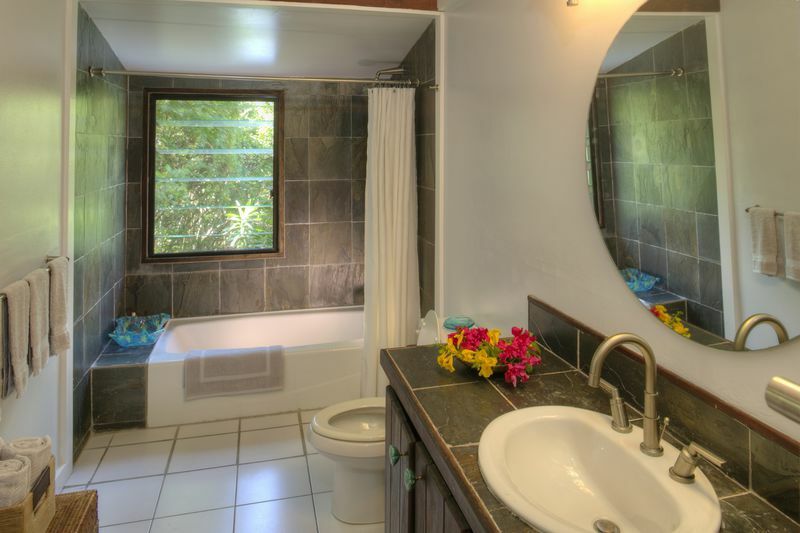 The house is well maintained and offers all of the amenities that one could ask for. The staff at St John Properties is second to none. They go out of their way to make you feel at home. For example we were running late to get to the car barge and Linda volunteered to pick up some items for us at the Starfish Market so that we could save time when we docked in St John. This is just one example of the custom service that they provide. 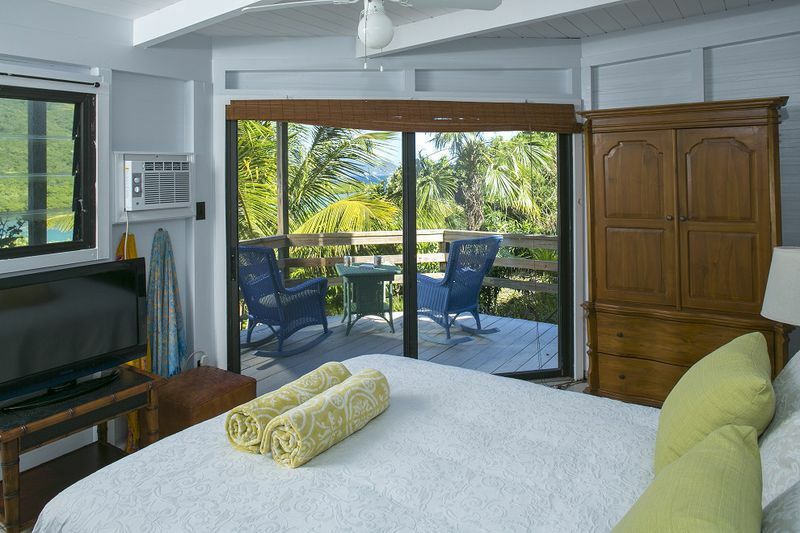 We will continue to use St John properties to rent our vacation homes! © Copyright 2015 St. John Properties, Inc.